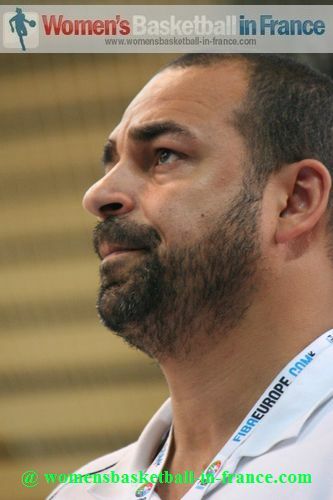 The sixth day of matches at the FIBA Europe youth championship has turned into a classification day due to the fact that 8 teams had already qualified for the final 8, confirmed on day 5. England are still without a victory after losing to Germany (42-69) and are one defeat away from relegation. 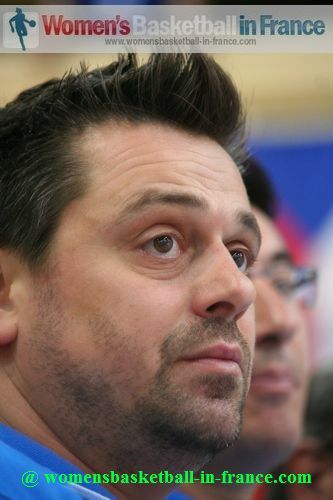 In the other relegation group game Serbia beat Turkey (70-61). 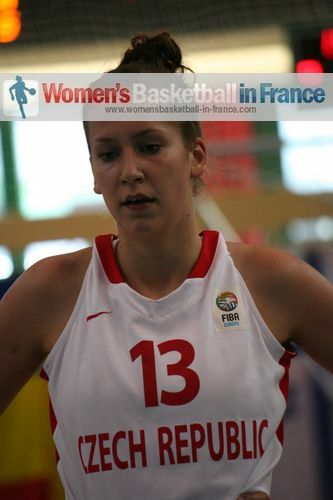 In the two other games played, not covered by womensbasketball-in-france.com, Croatia beat the Netherlands (62-54) and Hungary won against the Slovak Republic (59-37). France started quickly and more aggressively than usual. 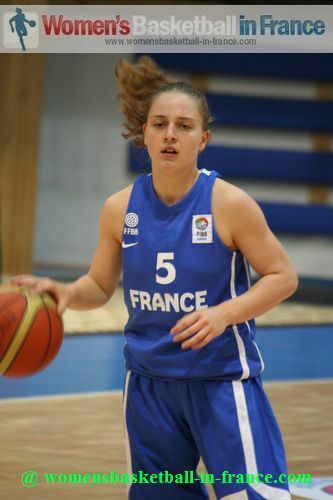 Alix Duchet was into her stride while Marie Milapie was sneaking under the radar to score a few points. 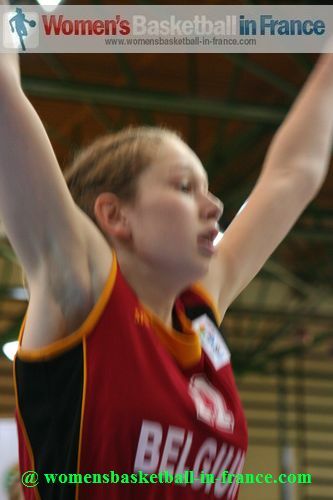 At the same time Cecilia Zandalasin from Italy opened her account with a text book jump shot from the baseline without the ball touching the net. 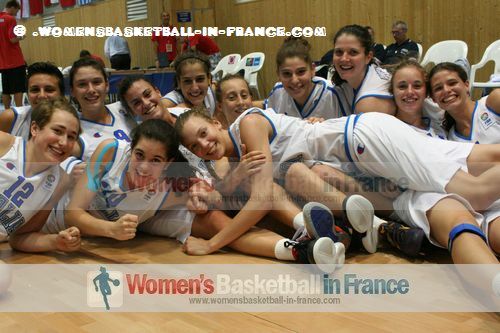 France put a lot energy into switching their defensive options for Italy to struggle to get into the paint. This forced Italy to rely on perimeter shooting. 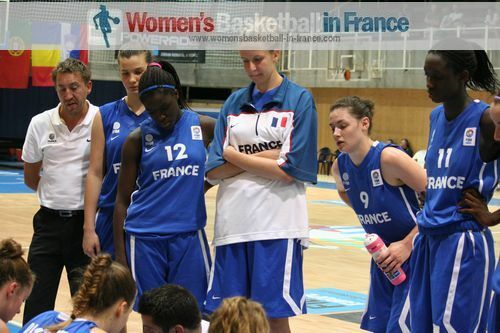 Although France were not much better offensively they were quicker down the court and picked up many second-chance opportunities to lead (13-8) at the end of the first quarter. 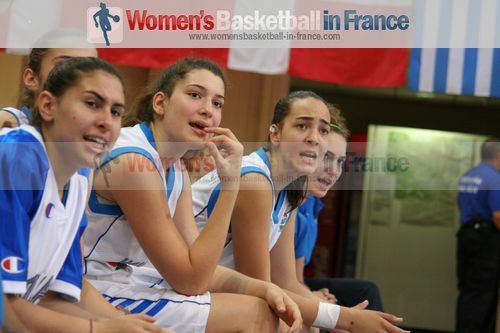 France changed to zone at the start of the second quarter which pushed the Italians further away from the paint. However France still struggled offensively. Yet when they did score it was spectacular. So with 12 minutes played France led (20-12). Once Italy started to play zone France stopped scoring and turned the ball over. Then the Italians reduced the deficit slightly (13-20). The French coach was getting angry with his players and continued to turn his bench to get the right combination. 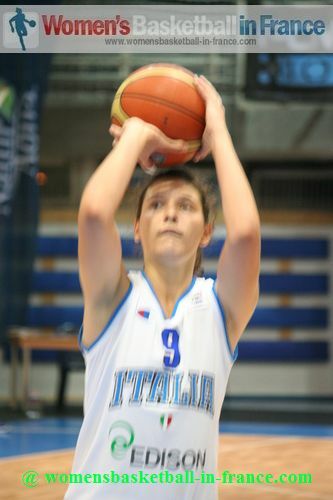 His team went on a 7-0 run before Francesca Russo hit a three-pointer from the baseline, a shot that actually bounced on the ring three times before dropping. France went into the locker room (27-16) ahead shooting just 33%. Italy were worse at just 20%. After the break Italy played like a different team. 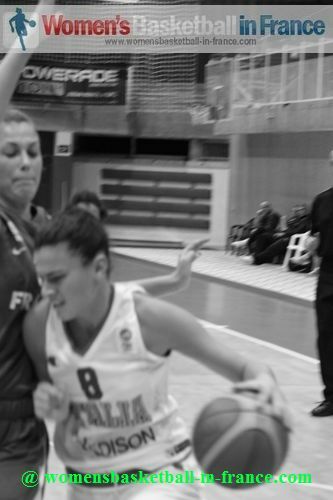 With Zandalasin on fire and Sofia Vespignani directing traffic the Italians went in front (28-27) with just over five minutes played in the third quarter. 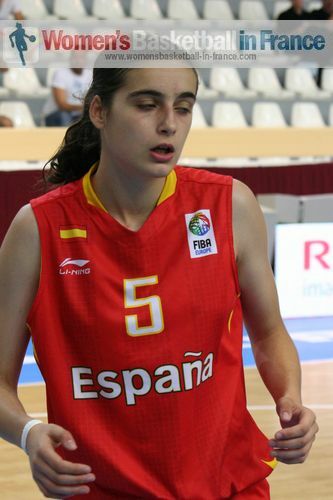 The last four minutes were typical of strong U16 international teams at FIBA tournaments as key players had to step up. 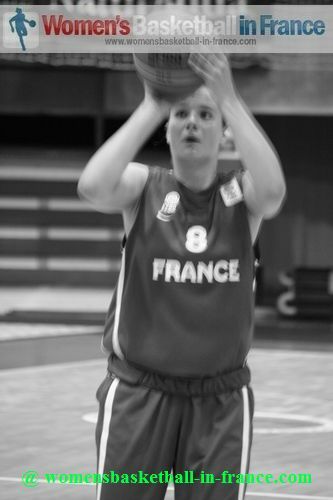 For France this player was Katia Clanet who came up with back to back scores. 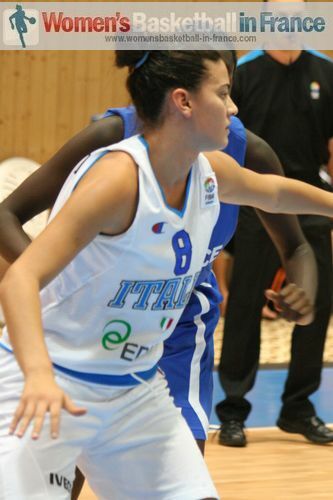 But an unsportsmanlike call against Maimouna Ba turned the advantage to the Italians who hit both free throws. 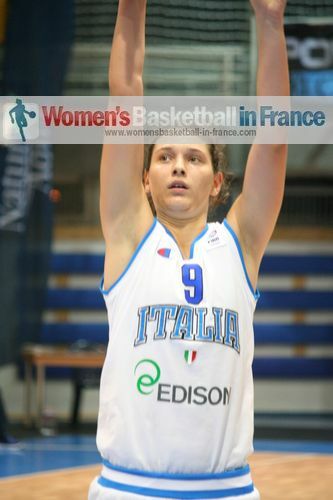 Furthermore on the final play of the quarter Marzia Tagliamento scored while the French team was watching Zandalasin for the Italian side to end the quarter on top (36-35). Italy were all over France like a swamp of bees and started to pull away for good mid way through the final quarter (46-39). Although France were not playing badly it was the Italian side that was on fire with Zandalasin and Tagliamento hitting all the shots while France were unlucky not to get the ball to drop. 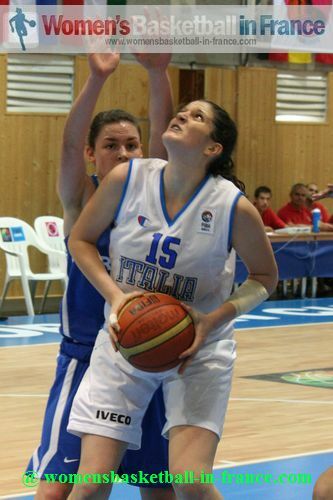 The end was exciting with Italy winning (55-42). The Czech Republic were quick out of the starting blocks and dominated the transition game in the first quarter. They made sure of connecting from second-chance opportunities to lead (15-4) after the first quarter. 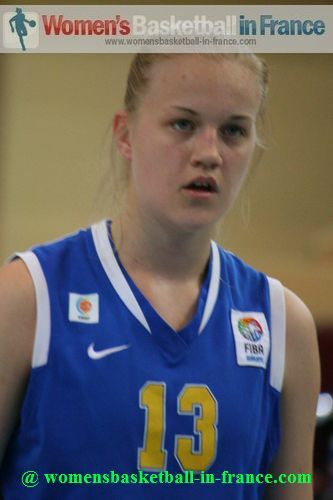 The Czech Republic had complete control of the rebounds (20-7) with Hana Veselá (in picture) doing most of the damage. 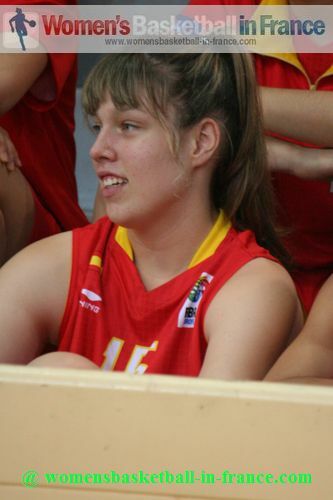 The Czech Republic continued their avalanche on Spain at the start of the second quarter and had a double digit advantage (20-8) after 12 minutes of play. 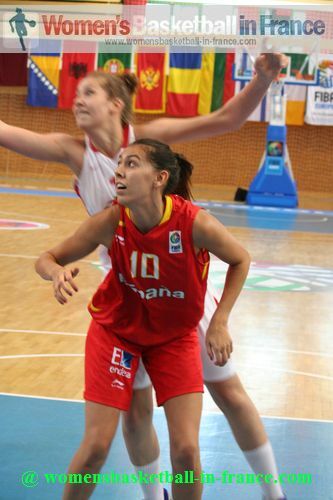 A change in offensive play from Spain resulted in a quick return into the game with a 10-0 run finished with a three-pointer by Elena Capella (18-20). Then it was the turn of the Czech Republic to change their options with the taller players picking up offensive rebounds and scoring as they went into the locker room leading (29-22). 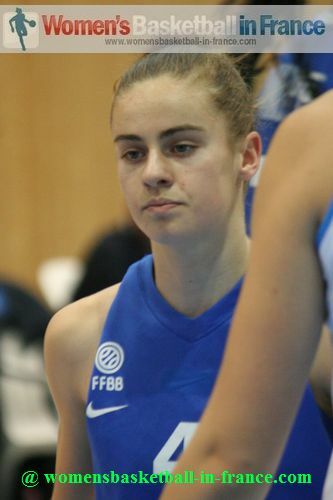 The Czech Republic players shared the scoring with at least three points per player with the exception of Michaela Kanuková who had played for 70 seconds by the end of the third quarter. 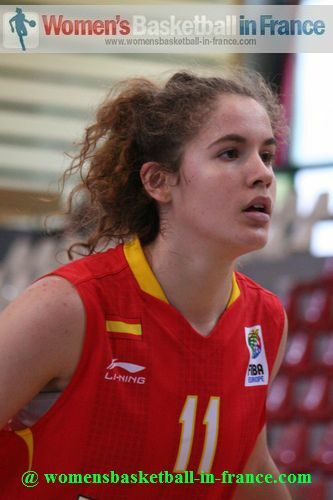 Spain had no answer for the rebounding and only Angela Salvadores (in picture) was really fighting hard. 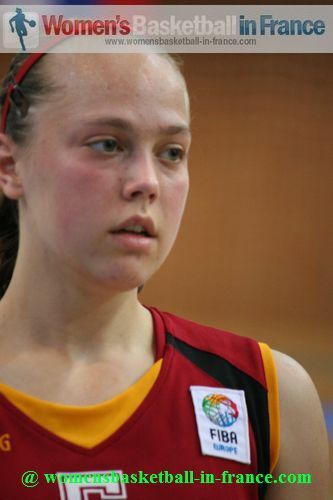 The Czech Republic went into the final quarter leading (50-35) but then fell apart as Salvadores and Laia Flores went on the war path with a combined total of 19 points. 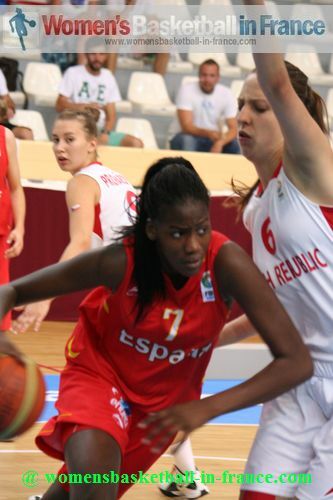 Spain scored 21 unanswered points as they went in front for good with the game reaching money time. 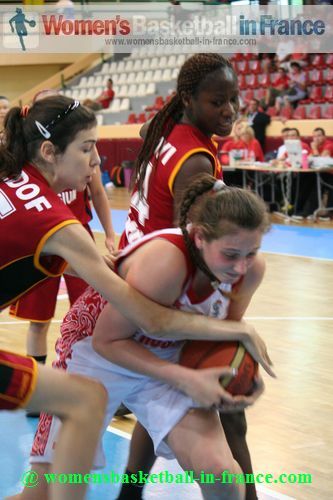 The riot was complete and the queen nation of FIBA Europe U16 Women came out winners (63-55). Witb both teams already eliminated from the top 8, this game had no value except for which team would finish higher in the Group E standings. With Greece leading (10-0) with four minutes played, it appeared that they would have an easy match as they dominated the first quarter (22-11). Greece decided to sleep in the second quarter while Sweden came storming back. 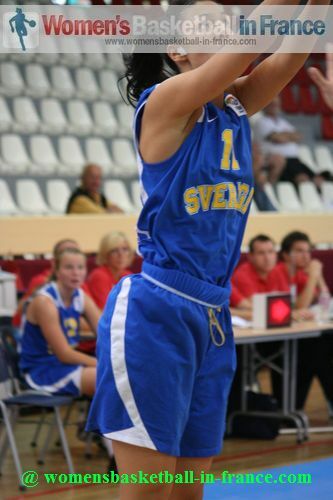 Then Rebecka Garderyd completed the comeback for Sweden on the buzzer for the teams to enter the locker room all square (31-31). 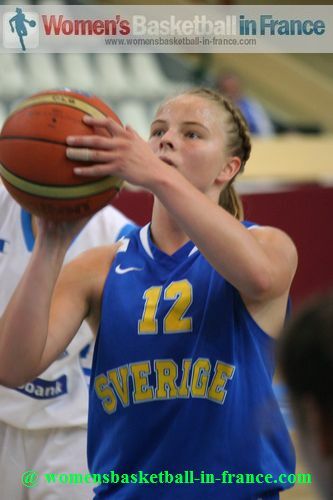 The start of the third quarter was hectic with Anna Lundquist putting Sweden in front for the first time. 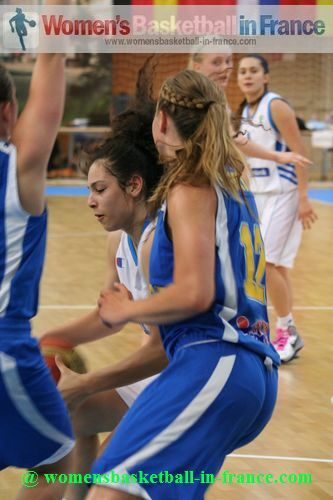 The lead did not last long because Eleanna Christinaki somehow bulldozed her way into the paint to score. Lundquist then fired in a trey to reclaim the advantage again for Sweden. But once again Christinaki came to the rescue of Greece. 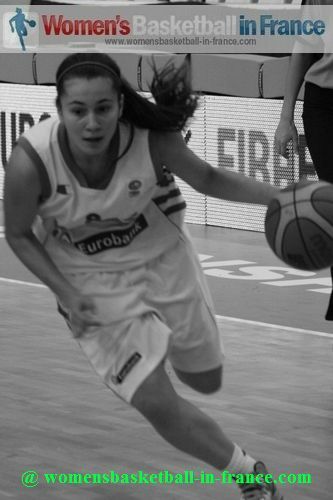 Maria Goul then set Greece on their way with a baseline three-pointer. 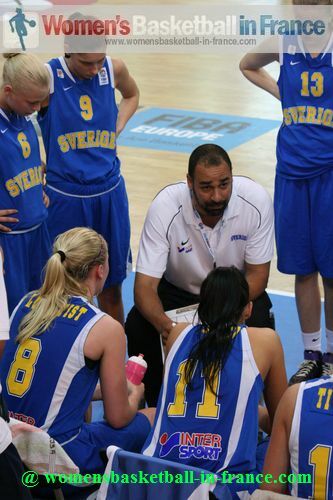 Sweden were on the back foot and managed just 2 more points in the quarter while Greece built a double-digit advantage (52-37). The Greeks were back in control and finished the quarter with a double-digit lead (52-37). The final quarter was up and down youth basketball with no real control from either side. Greece held on to their advantage to win the game (60-53). 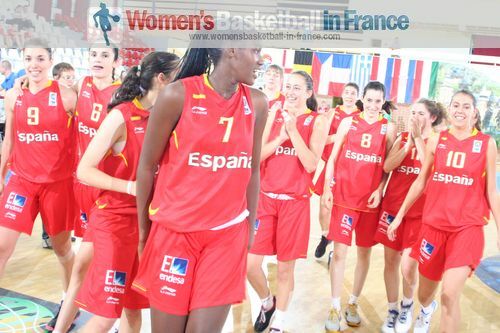 Both teams will now be involved in the FIBA Europe classification round for 9th to 12th place. The first twenty minutes between Russia and the Netherlands turned into a chess match between the two coaches. 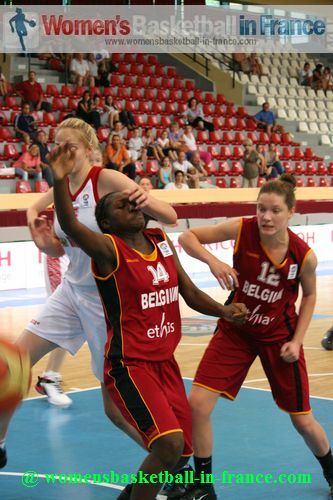 Russia played a lot of zone and half-court press while Belgium stuck to player on player marking and then worked the perimeter for scoring opportunities. Russia led for most of the first half despite the game being tied on 7 occasions. By half time they were (30-23) ahead. 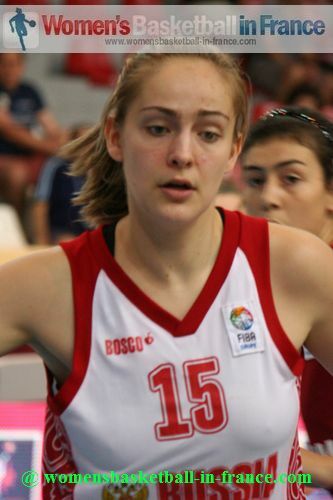 For Russia Anastasia Borovykh (in picture) and Zhosselina Maiga did most of the damage offensively with 13 and 7 points each while the scoring was more balanced for Belgium. 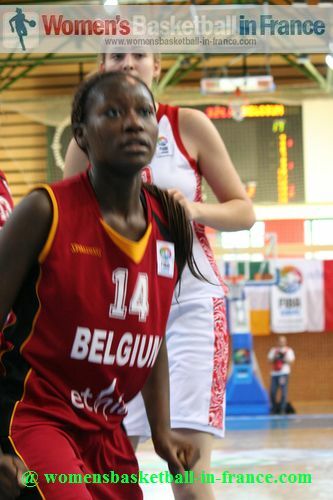 Belgium opened the final quarter with a trey by Eva Devliegher to the delight of the Belgium supporters. 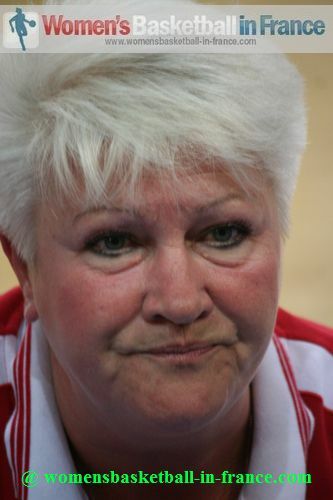 However the joy ws not to last because Svetlana Boykova from Russia stepped with back to back scores for her side to move 8 points clear (50-42). 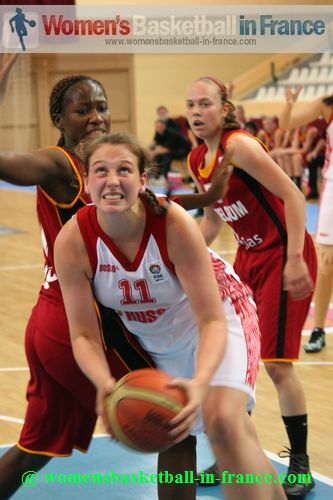 Russia then held on to win (56-44) to remain unbeaten and finish in first place in Group E.